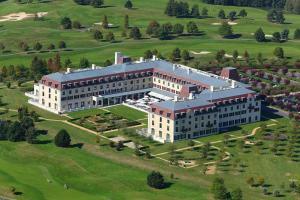 Adagio Access Marne La Vallée - Magny Le Hongre price per day from € 59 . Hipark Serris-Val d'Europe price per day from € 68 . Kyriad Disneyland® Paris price per day from € 69 . Radisson Blu Hotel at Disneyland® Paris price per day from € 103 . Town of Magny-le-hongre (~1.9 km). 23+ accommodation units ! Town of Serris (~2.7 km). 28+ apartments, ! Town of Montry (~4.1 km). 3+ apartments ! Town of Villeneuve-saint-denis (~4.1 km). Town of Villiers-sur-morin (~4.4 km). 7+ villas/holiday houses !